(CNN) - When Marcy Cornell's toddler son "couldn't breathe" on the first day of their recent Florida vacation, she took him straight to the emergency room. The water in Englewood, on the state's southwest coast, "smelled kind of funky, and then we noticed a few dead fish floating past," Cornell said. "All of us felt as if we had bad allergies -- like itchy, watery eyes and coughing. And we thought that was the end of it." Cornell's experience is not unique. 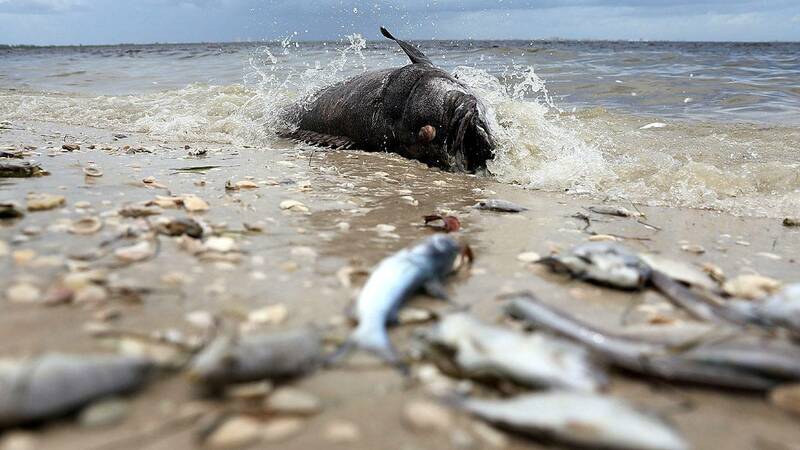 Respiratory symptoms have been reported in a number of Gulf Coast counties, according to the Florida Fish and Wildlife Conservation Commission. The state is dealing with a toxic algae problem on multiple fronts, with colorful names like "red tide" and "green slime." A marathon bloom on its west coast is leaving dead fish, sea turtles, manatees and even a whale shark in its path. Experts say it poses a risk to people, as well. "I am issuing an emergency declaration to provide significant funding and resources to the communities experiencing red tide, so we can combat its terrible impacts," Scott said in a news release. K. brevis produces toxins that cause "neurotoxic shellfish poisoning," according to the US Centers for Disease Control and Prevention. "These shellfish, over time, they accumulate high concentrations of these toxins, but it doesn't seem to affect them at all. Then humans come along and eat shellfish, and they get very sick," said Larry Brand, professor of marine biology and ecology at the University of Miami Rosenstiel School of Marine and Atmospheric Science. Brand said that this is "not much of a problem anymore" because Florida authorities shut down shellfish harvesting during red tides. Some harvests may also be tested for toxins before they are sold, according to the conservation commission. "It's like being hit with a tear gas," Brand said. K. brevis thrives in saltwater. In freshwater, however, there are blue-green algae -- which could be any of thousands of species of cyanobacteria. Brand's current research aims to find out to what extent these toxins can be aersolized, too. The most widespread toxins from these algae, called microcystins, are "being produced right now by these blooms in Lake Okeechobee" and other bodies of water, Brand said. But there could be other toxins we don't know about because they haven't made people acutely ill, leading scientists to the cause. "A bunch of people get sick about the same time, same location, and you could track it back to the source. And that's how we discovered all these toxins," Brand said. "There's almost certainly other toxins being produced by these cyanobacteria that we have not discovered yet." Brand worries that toxins might pose long-term health risks, but that's much less clear. For example, some evidence suggests that one kind of microcystin can cause cancer down the line, but the US Environmental Protection Agency says the research is too limited to say so definitively. Researchers have linked a different algal toxin to neurodegenerative diseases such as Alzheimer's and amyotrophic lateral sclerosis, but other studies have refuted the connection. "If you see a bloom of cyanobacteria, you should simply assume it's got toxins in it," Brand said. "Don't go swimming in that water. Don't eat any seafood from that water." Algae can be present throughout the year, affecting humans when there's a "bloom," or overgrowth. "When you start feeding these things with all these excess nutrients ... now you've got what we call a 'harmful algal bloom,' " Brand said. "Now you've got high concentrations of toxins, and now you're causing a lot of human health [problems] as well as destruction of the ecosystem and so on. 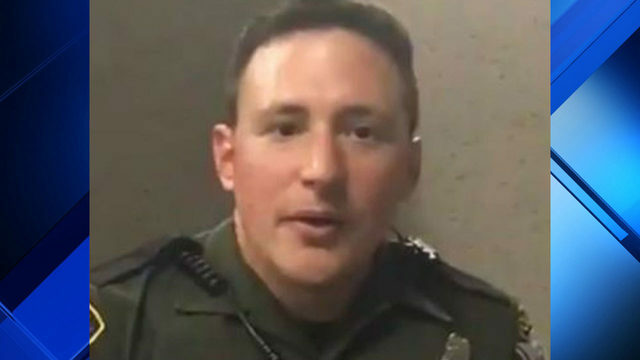 "This is not just a unique situation in Florida. This is a global problem."